Book your Nice holiday cheaper in winter and soak up all the city has to offer! Leave the cold and miserable winter weather behind and say hello to the Côte d’Azur sunshine and blue sky. Find out why it's good to visit Nice in winter with the Best Western Plus Hôtel Brice Garden Nice. Once you've read this article, you'll only have one thing in mind: booking your break in central Nissa la bella! Summer never ends in Nice! With an average temperature of 15 degrees over the course of the year, the city has an Azur microclimate throughout winter. Temperatures can reach 20 degrees in January and February. A winter break to Nice means enjoying the sunshine as well as relaxing on heated terraces at bars and restaurants, walking on the Promenade des Anglais without a coat and fewer crowds than in summer. If you're feeling brave and fancy a dip, the nearest beach is under a 10 minute walk from our 4* hotel. Spend the holiday season in Nice and have an amazing time celebrating Christmas and New Year at the Best Western Plus Hôtel Brice Garden Nice. Take a short walk from the hotel to explore the Christmas market in December and gaze at all the illuminations and decorations adorning the entire city. 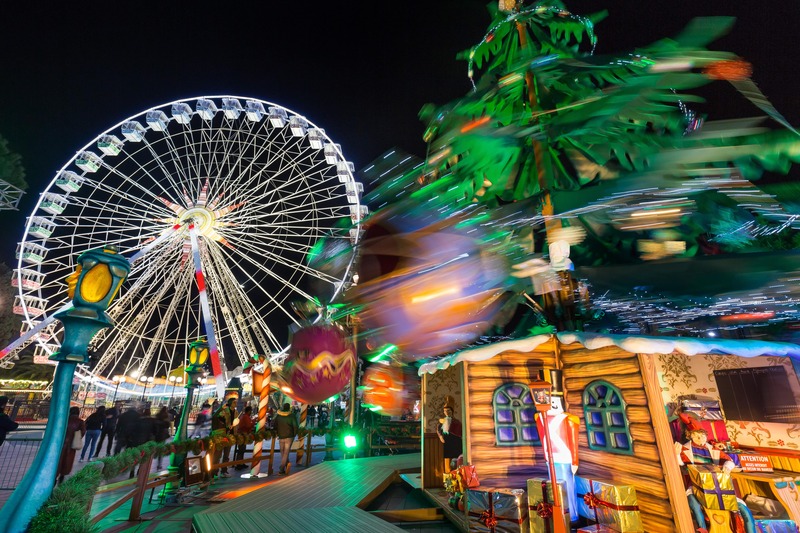 The big wheel comes back every year in front of Albert 1st Park so you can admire the view of the Baie des Anges day and night. Make the most of the Best Western Plus Hôtel Brice Garden Nice's great location to shop 'til you drop. The best boutiques in the city such as Chanel, Kenzo and Louis Vuitton are in Nice's carré d’or just a 5 minute walk from the hotel. A trip to Nice in winter also means you can visit the Christmas sales in January and February in the Côte d’Azur capital home to over 7000 shops. Nice is a year-round cultural and festive city hosting unique events in winter such as the Nice Carnival, Nice Fair, Prom Classic, Paris-Nice and more. The 135th Nice Carnival will be held from February 16th to March 2nd 2019 on the theme of "The King of Cinema" to tie in with the La Victorine Studios centenary. Book your tickets online now to experience the carnival parades and flower battles. The team at the Best Western Plus Hôtel Brice Garden Nice dress up every year to greet you and give you the full magical carnival experience. The 75th Nice Fair will be held from March 9th to 18th 2019. The top trade event in the Alpes Maritimes brings over 130,000 visitors to the 30,000m2 Acropolis Exhibition Centre in Nice every year. Learn about new technology and products in all kinds of sectors during your stay in Nice: food & drink, housing, leisure etc. 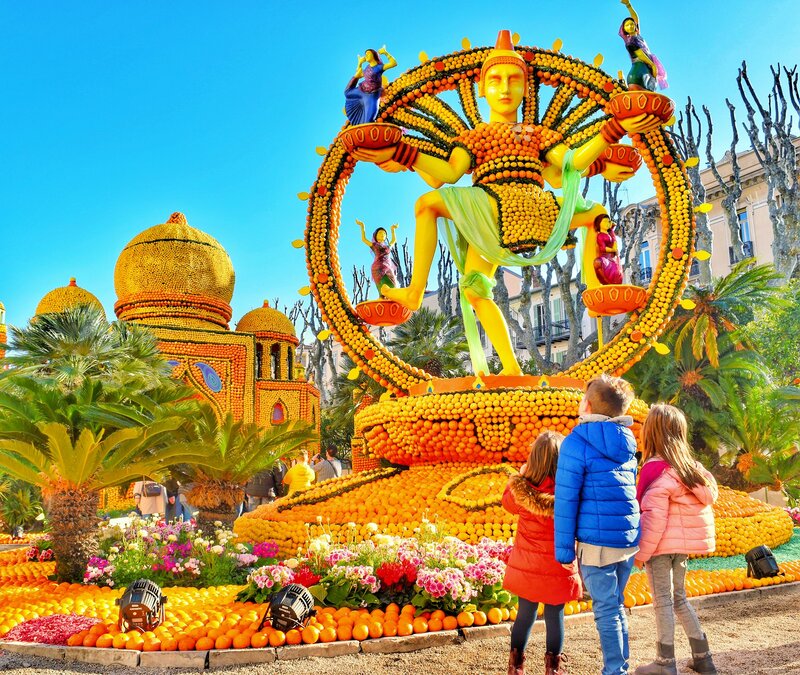 Less than a 40 minute drive from your hotel, celebrate the Menton Lemon Festival, the second biggest Côte d’Azur event in winter. The 86th festival will be held from Saturday February 16th to Sunday March 3rd 2019 on the theme of "Fantastic Worlds". Over 200,000 tourists flock to the Lemon Festival every year to see frenzied corsos and countless citrus sculptural exhibitions. Did you know that Nice is the second city after Paris in terms of museum visits? As a matter of fact, Nice has some absolutely amazing museums to visit during your winter break such as the Matisse Museum, Fine Arts Museum and Villa Masséna. March 13th to 30th 2019 sees Museum March by Nice Council and Nice Sophia Antipolis University come to the city for students and youngsters with countless exhibitions and events in a variety of museums showcasing art forms such as dance, theatre, music and photography. Explore the myriad landscapes that Nice has to offer during your break at the Best Western Plus Hôtel Brice Garden Nice, as the city lies between the sea and mountain and is one of the closest to Italy. Book your winter stay at the Best Western Plus Hôtel Brice Garden Nice now to soak up Nice's warm winter in its private city centre garden.